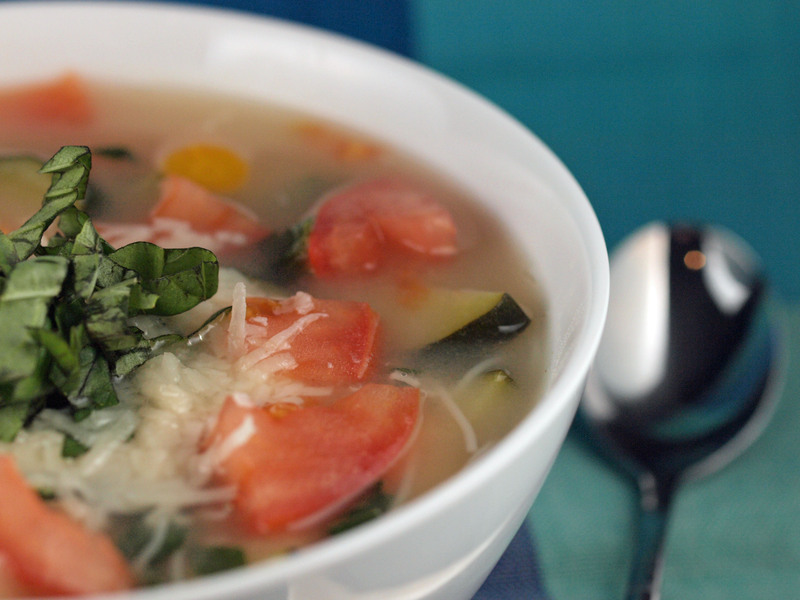 A quick and simple healthy soup that’s perfect for a weeknight meal. Adapted from “The Art of Good Cooking,” any mix of vegetables could be used and the frozen green beans could be replaced by peas, broccoli, or any combination of mixed vegetables. I added tomato because I find it almost impossible to eat basil and Parmesan without tomato. I like to think of it as an Italian style ramen soup. Enjoy. Heat a large soup pot over medium heat. Add a little of the liquid from the can of beans. Add sliced carrots and zucchini, saute for 1 minute. Add beans, garlic, frozen beans, tomato, salt, and pepper. Saute one minute more. Add broth and bring to a boil. Lower heat and simmer, covered, until vegetables are tender. Check seasoning and correct if necessary. Add vermicelli and simmer until just barely tender. 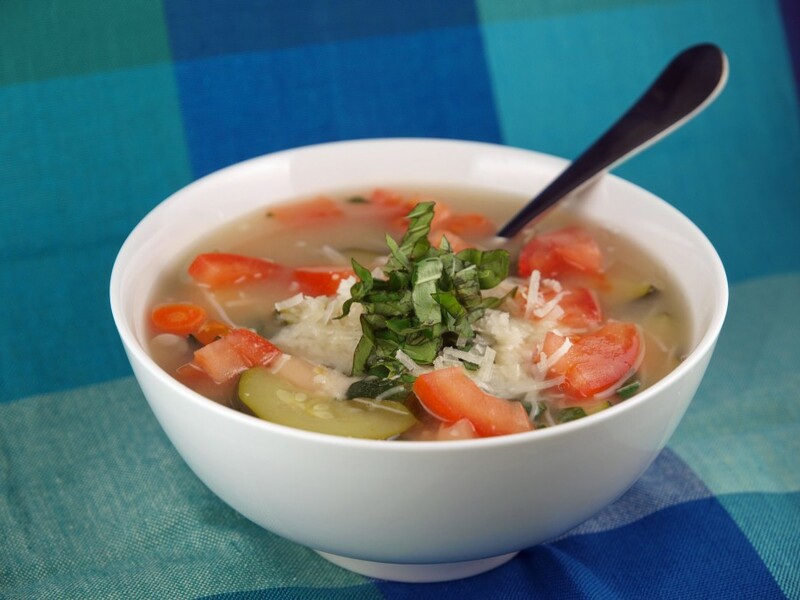 While soup is cooking, chop basil finely. When vermicelli is tender, remove soup from heat and add basil. Serve with grated Parmesan and chopped basil. MMM!! What a treat this bowl of warmness would be on my cold, rainy day!! Nicely done! Thanks Kim! I guess California and New York traded weather for the day. Nice blog btw!